Thanks to Dan/DH8DX for all his efforts in putting the DM/TH:s on the air. 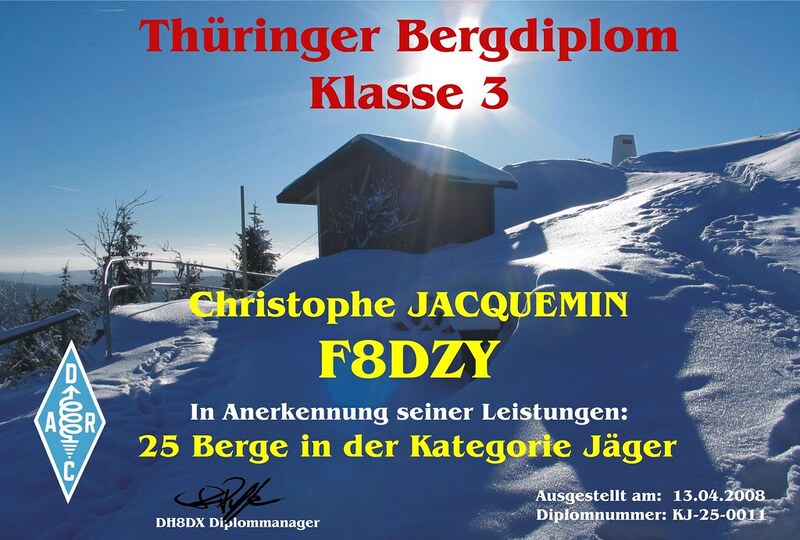 I just received my “Thüringen bergdiplom” for working 25 of them. The award is free and is really goodlooking. More information is available from DH8DX I´m sure. Yep, I do confirm : superb photograph for this diploma, many thanks Dan DH8DX for sending to me also ! i was very proud to receive it. Received mine today, and very nice it is to. Like G4CPA I think it is a really good award scheme and I am sure you will get lots of interest. I look forward to getting to the next stage (slowly with my current poor CW skills).